All right, you got me. 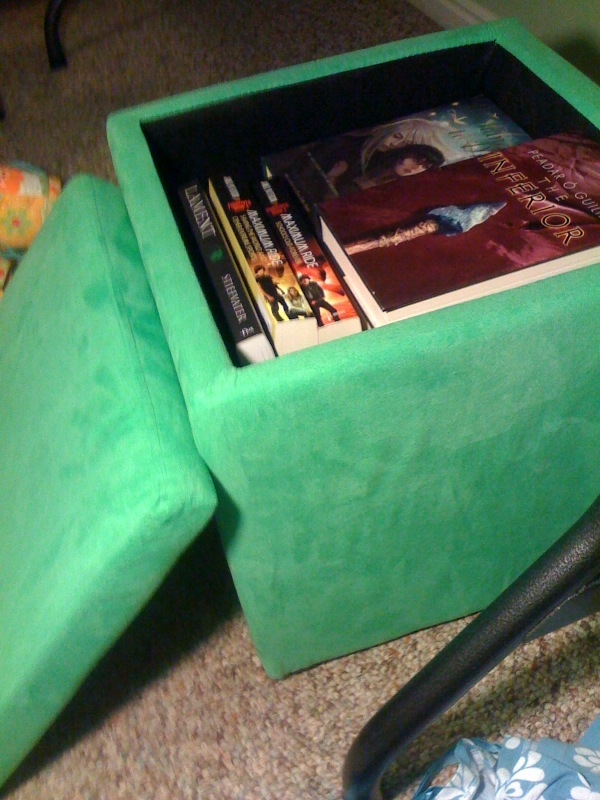 Technically it's a storage ottoman. Not a stool. (nevermind. You got it.) But you still win. But you didn't guess what I store in it! Books! Haha. Duh. Ever since I moved out I haven't had my lovely bookshelves. And my TBR pile has just been taking up space on top of my dresser. So I bought this fun box! Perfect place for my books and my feet! Okay, so for reals, I was thinking that there must be books inside. Promise. I just didn't say anything. That's awesome! Does the storage go way down to the bottom of the box?